With the re-launch of Hotmail as Outlook.com Microsoft has garnered a lot of adoration from the media and the public, especially when Google just announced the indefinite delay of their Nexus Q orb. As far as PR this week: Microsoft 1, Google 0. One of the main features that Microsoft is touting with Outlook.com is that they won’t scan your email to deliver personalized ads—a clear shot at Google’s Gmail ad-machine. They have even set up a simple ‘how to’ on switching from Gmail to Outlook. But with no personalized ads based on the contents of your email, how is Microsoft making money? 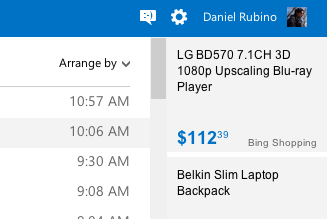 The answer is technically still ads—that is Outlook has simple ads based on Bing Shopping to the right of your screen. You won’t see these ads while in an email, just in your main inbox view. But there is a sharp distinction here with Google on how they view their customers. Indeed, Microsoft considers its main source of revenue software, something that Google doesn’t actually sell. With folks buying Windows PCs, laptops. Tablets and software packages like Office, the company already has a steady stream of income. Ads in Outlook are merely an added source of revenue but not something that Microsoft needs. From that perspective, Outlook.com is an extension of services you already paid for when you bought Microsoft’s products. In fact, with Hotmail Plus users can pay $20 a year and have all ads gone from their inbox permanently in addition to 10GB of storage and no account expiration. It’s not too clear if Microsoft will still push ‘Plus’ with Outlook.com but as of right now, it carries over and ads are not presented to the end user. While paying $20 a year for email with no ads may not sit well with some people, it is at least an option that Microsoft offers and which Google does not. Leaving the decision up to the customer is really how it should be (and for the record, we are ‘Plus’ subscribers). With the winning combination of their new re-design, an emphasis on privacy and putting customers first, Microsoft may yet have a winner with Outllook.com. Just six hours after its release, the company boasted 1 million new accounts. Who knows how many have been created since then. 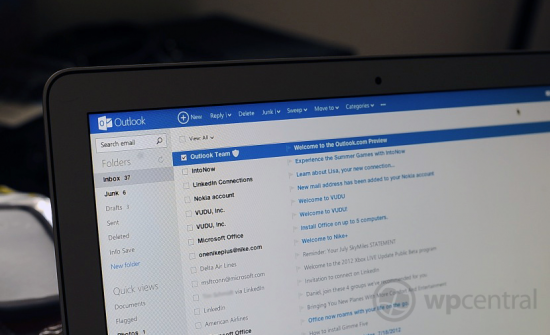 Switching your Hotmail or Live to Outlook.com? Here’s what you need to know for Windows Phone.